We are one of the leading manufacturers, suppliers and exporters of PP Woven Fabrics. The offered poly propylene woven fabric is specially designed and weaved for packaging of products such as food grains, fertilizers and cement. 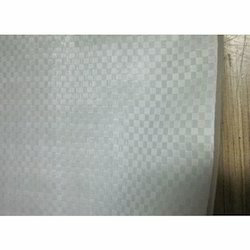 Our supplied poly propylene woven fabric is easily available at very affordable market selling rates. PP woven fabric with very low gsm i.e 1.7/1.8 gm/metre is commonly used as wrapping fabric for cartoons, parcels, paper rolls, etc. We have in house lamination facility and provide laminated fabrics which protect the product like fertiliser, chemical from atmostpheric moisture and foreign particle. The Laminated fabrics are also use for making tarpaulin. We are one of the leading manufacturers, suppliers and exporters of Polypropylene Woven Fabric. The offered poly propylene woven fabric is specially designed and weaved for packaging of products such as food grains, fertilizers and cement. 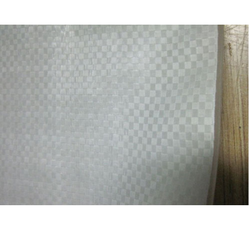 Our supplied poly propylene woven fabric is easily available at very affordable market selling rates. We are one of the leading manufacturers, suppliers, and exporters of Polypropylene (PP) Woven Fabric. The offered polypropylene woven fabric is specially designed and weaved for packaging of products such as food grains, fertilizers, and cement. Our supplied polypropylene woven fabric is easily available at very affordable market selling rates. We are one of the leading manufacturers, suppliers, and exporters of Flat Polypropylene Woven Fabric. The offered polypropylene woven fabric is specially designed and weaved for packaging of products such as food grains, fertilizers, and cement. Our supplied polypropylene woven fabric is easily available at very affordable market selling rates. We are one of the leading manufacturers, suppliers, and exporters of Coated Polypropylene Woven Fabric. The offered polypropylene woven fabric is specially designed and weaved for packaging of products such as food grains, fertilizers, and cement. Our supplied polypropylene woven fabric is easily available at very affordable market selling rates.